For those wanting to get into the spirit of the Christmas season here are a couple of fun things to do. 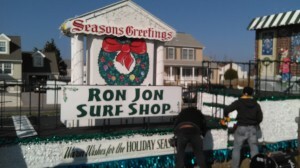 First you can attend the Annual Christmas Parade 0n December 2nd here on LBI. Click HERE for all the details in The SandPaper. Second you can cut down your own real live Christmas tree at any of the many tree farms here in NJ. Link HERE for 30 NJ farms that are offering this service.